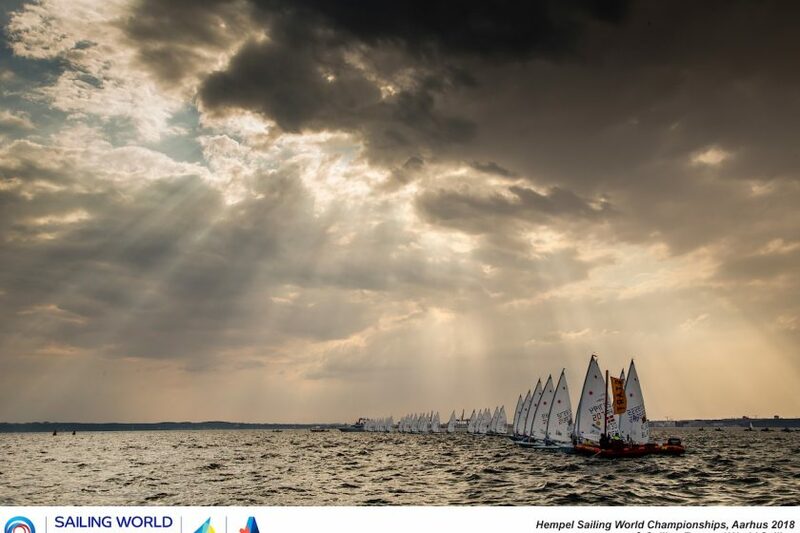 (Aarhus, Denmark) A hot, humid, and stormy Day 6 for Lasers at the Hempel Sailing World Championships brought long hours on the water, but only one race completed in each Gold fleet. The Laser Standards will race once more tomorrow on the reserve day to finish the series ahead of the medal race on Friday, while the Laser Radials will race twice. In difficult and shifting conditions before racing was abandoned, there were some big double-digit scores at the top of the Laser Radial leaderboard that rearranged the standings. 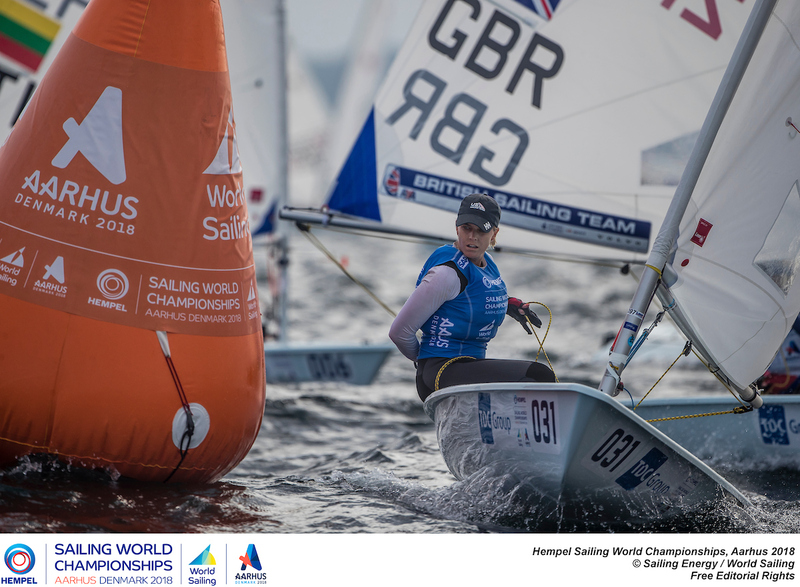 Paige Railey (USA) finished 37th out of the 60 boats, while Denmark’s overnight leader and Rio 2016 bronze medalist Anne-Marie Rindom finished 44th. A new name appeared among the top three today when Belgium’s Emma Plasschaert sailed a single-digit race, on a day where consistency made all the difference. Plasschaert has been steadily climbing her way up, and today that consistency paid off. Heading into the final day before the medal race, Railey is leading only one point ahead of Plasschaert who is tied with Rindom. It is tight competition in the Gold fleet and no one can be ruled out just yet. 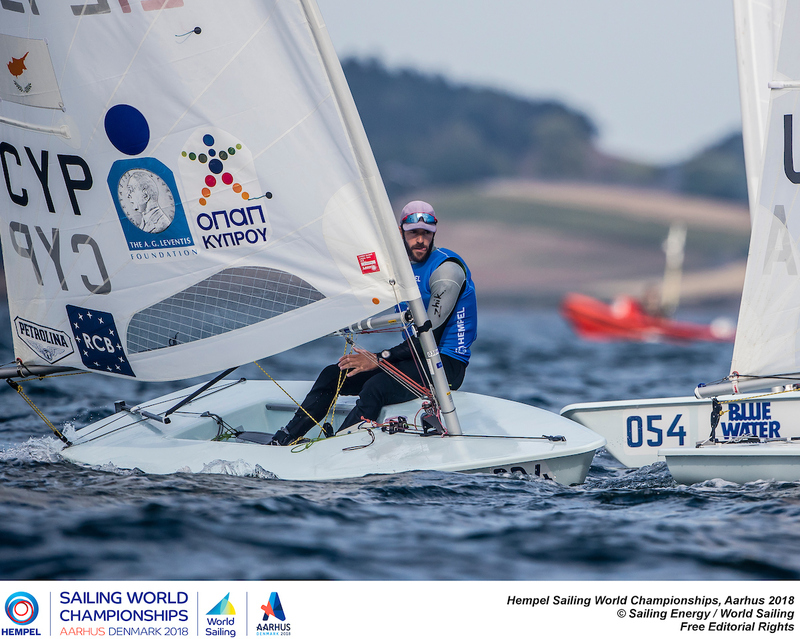 In the Laser Standards, there was a similar pattern of double-digit finishes today among the top sailors, but not for Pavlos Kontides. Kontides became the first-ever Olympic medalist for Cyprus (in any sport) with his silver medal at the London 2012 Olympics, and is now leading the event after finishing second today. Australia’s overnight leader Matthew Wearn finished 14th, which pushed him three points back from Kontides in second overall. New Zealand’s Sam Meech finished 12th, slipping into third place. “Unfortunately, the people who I need to be in front of did really well in the race,” explains Meech. “If I didn’t have a bad race yesterday, I would be more than happy with that [12th]. We still have one more race tomorrow so there are a lot of points on the line. I will try to get myself back into a good position before the medal race.” With a disqualification race today, Australian Rio Olympic champion Tom Burton is sitting in fifth overall and 31 points out of first place. As in the Radial fleet, it is tight competition and anything can happen tomorrow before medal race fleets are determined. Racing continues tomorrow on the reserve day to conclude the final series. Laser Radials have two more races to complete and Laser Standards will have one more race. Medal races are scheduled for Friday, August 10.